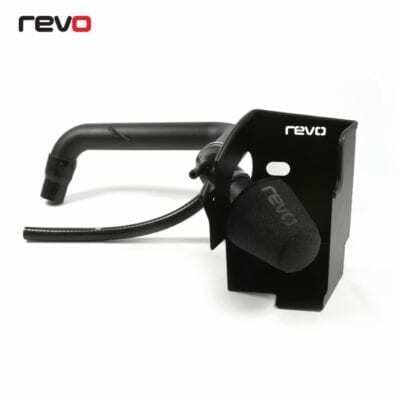 Performance is the core reason that Revo produces any product, and is certainly the case with this upgrade. 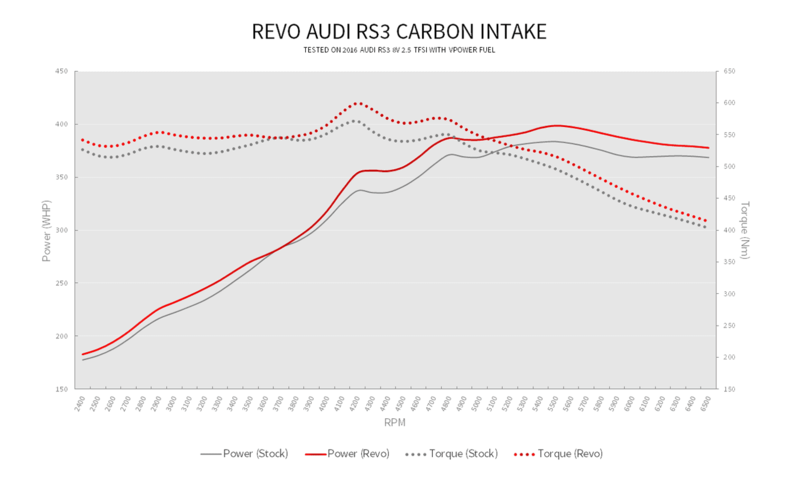 An addition that any RS3 owner can be proud of, the most impressive benefit is the extra power and torque that is unleashed when used with Revo Stage 1 software. The intake system on your Audi RS3 has been designed to function effectively for a standard engine, and to minimise intake noise for comfort. Particularly with Revo Software installed, this restrictive plastic intake system literally chokes the engine as it struggles to flow enough air through the system. Only the driven understand that by replacing the OEM intake, you can see excellent performance benefits that Only Revo offer. 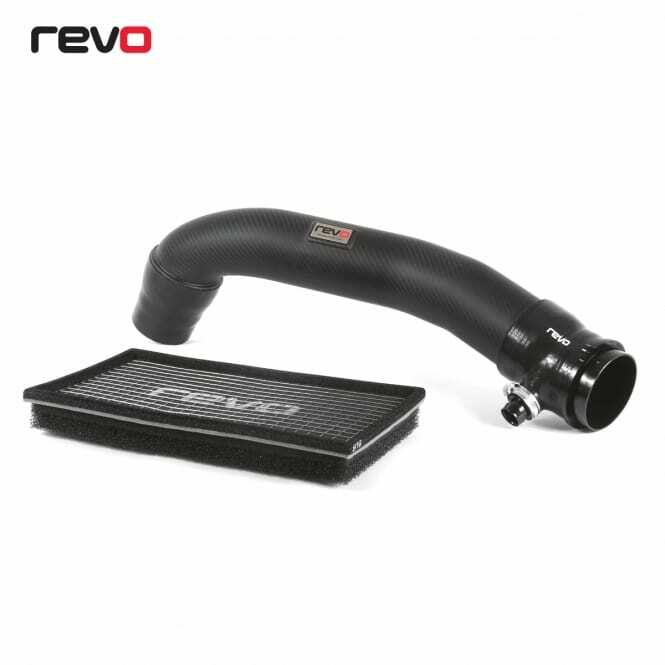 And as this product is part of the Carbon Series, it also completely transforms the appearance of your engine bay; this intake is literally as powerful as it looks. 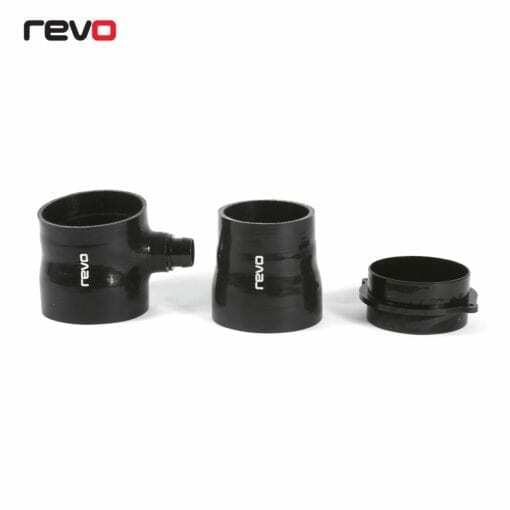 Performance is the core reason that Revo produce any product, and is certainly the case with this upgrade. An addition that any RS3 owner can be proud of, the most impressive benefit is the extra power and torque that is unleashed when used with Revo Stage 1 software. Hand built using automotive-grade silicone in a four-ply construction for strength. Each silicone joiner features a flush-fit neck to ensure a smooth flow of air and to avoid turbulence. CAD designed with maximum radius bends for better flow. 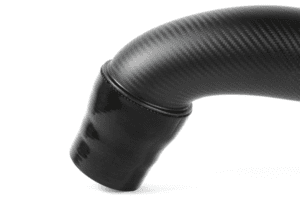 A CNC machined billet aluminium piece joins the pipe to the airbox along with a vacuum fitting to rid the system of the standard plastic components. 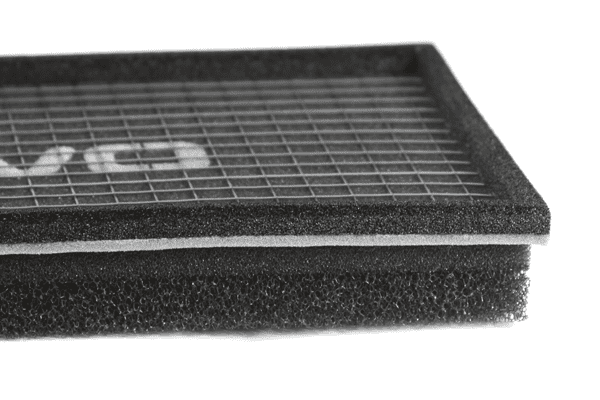 Revo ProPanel Filters use multi-layered foam technology to trap dust and dirt while maintaining flow efficiency over time and are washable. Paper and cotton filters, which trap dust on the surface are less efficient the more they are used, choking the engine and reducing performance. 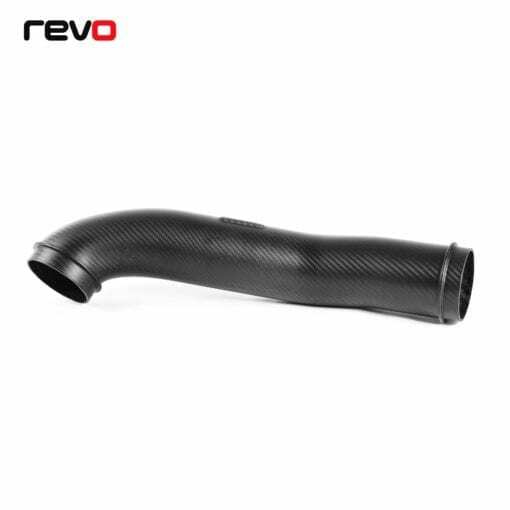 The 3K carbon weave used on all Revo Carbon Series products whilst looking great also gives exceptional strength when combined with the manufacturing process, ensuring a high-quality long life part for your vehicle. Dyno testing with Stage 1 software proved a 21WHP gain @4300rpm and over 11WHP at peak RPM with a consistent and strong gain through the rev range. Torque is also dramatically increased with 28NM gain over stock at peak. Increased airflow also means that the turbo can spool up quicker, delivering power and torque earlier in the rev-range. This is further backed up airflow testing which shows an increase of 23kg/h over the stock pipe as the car starts to spool up, this improved flow continues through to peak where it still made an extra 12kg/h over stock.